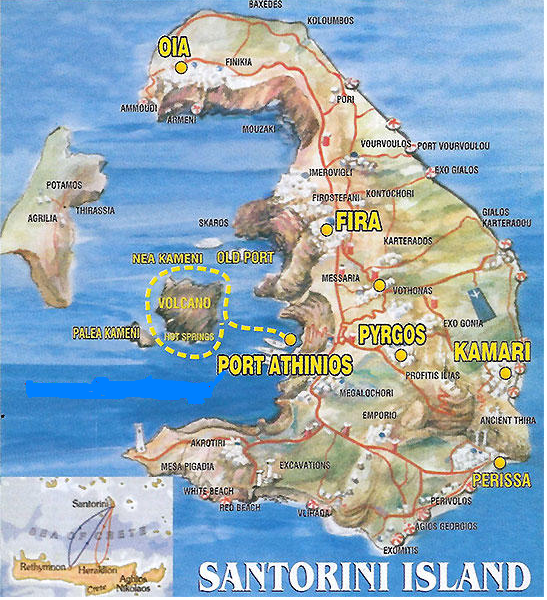 10.45 Arrival at Santorin at the port of Athinios. 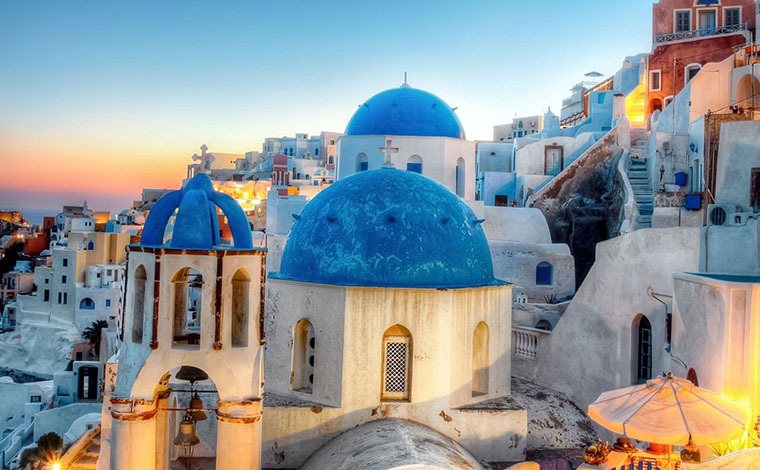 OIA free time to admire the old neo-classical manors as well as the houses carved on the rock,the manmade eyries that seem to hang on the edge of the precipice. 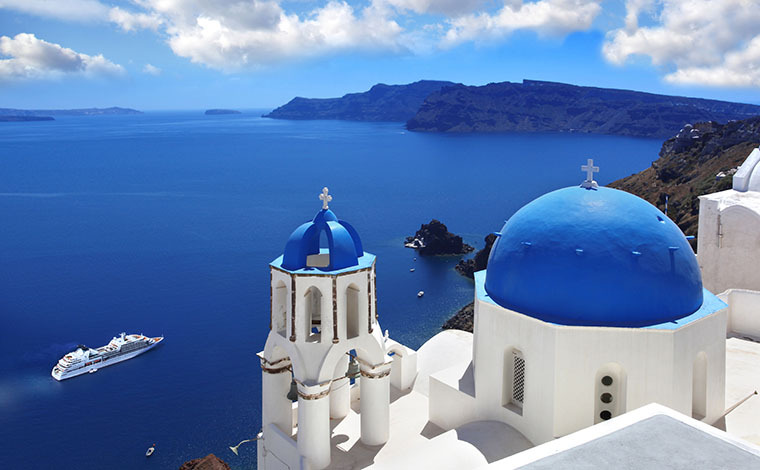 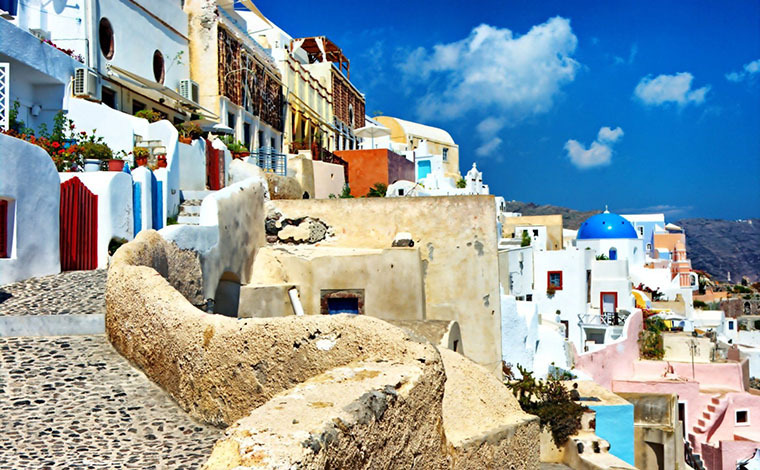 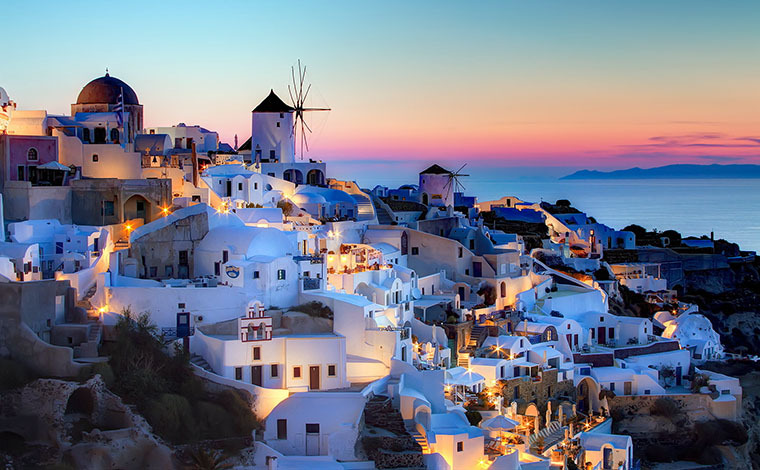 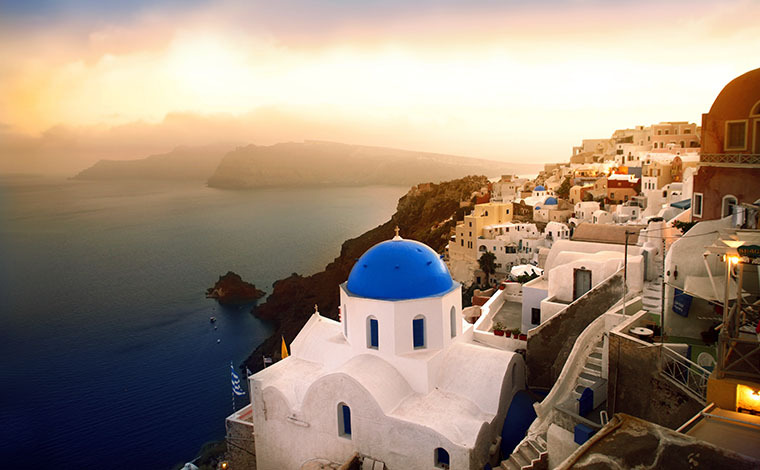 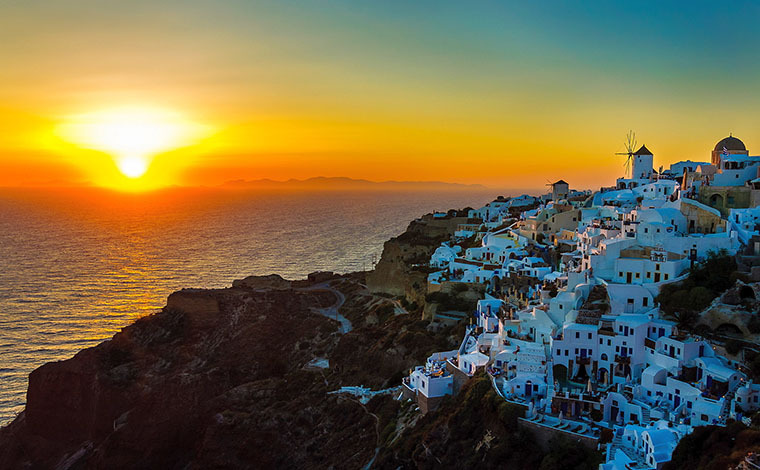 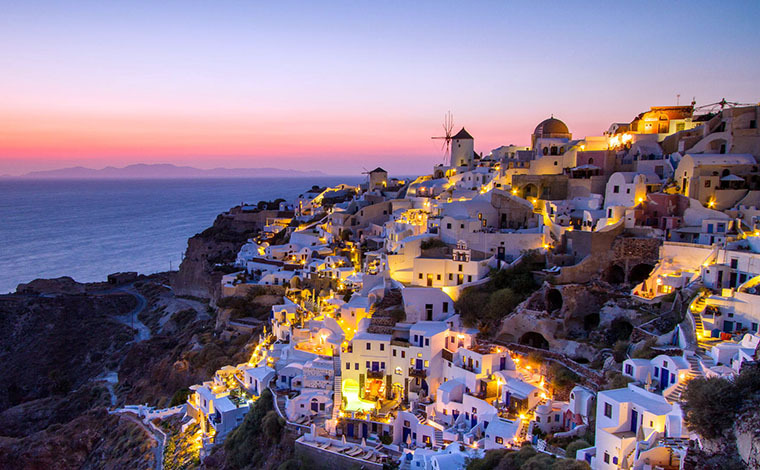 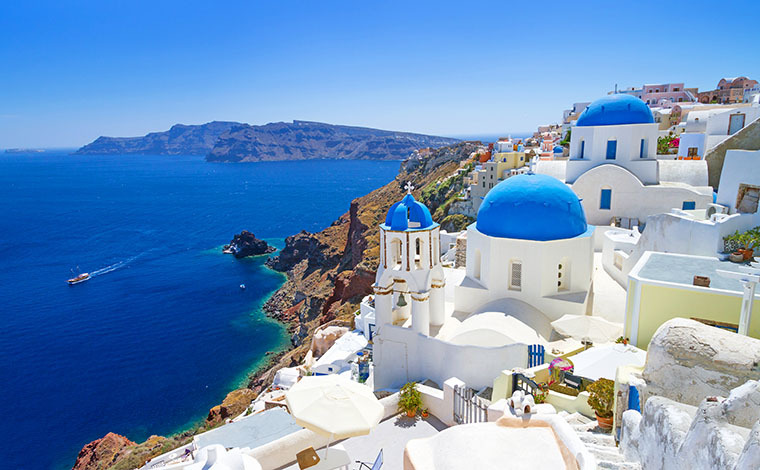 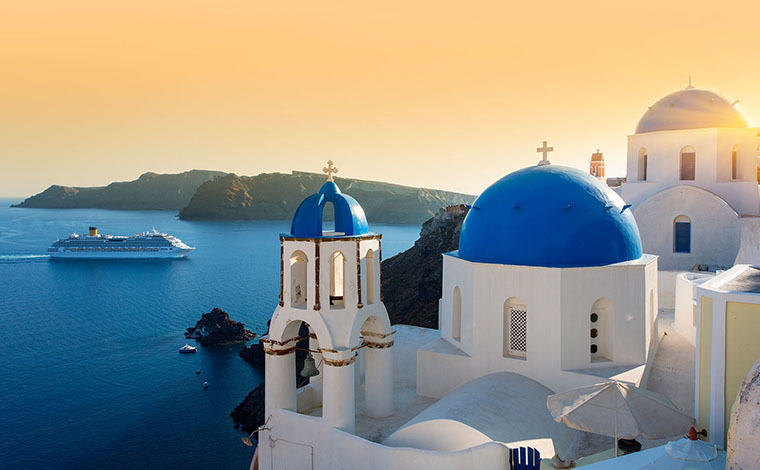 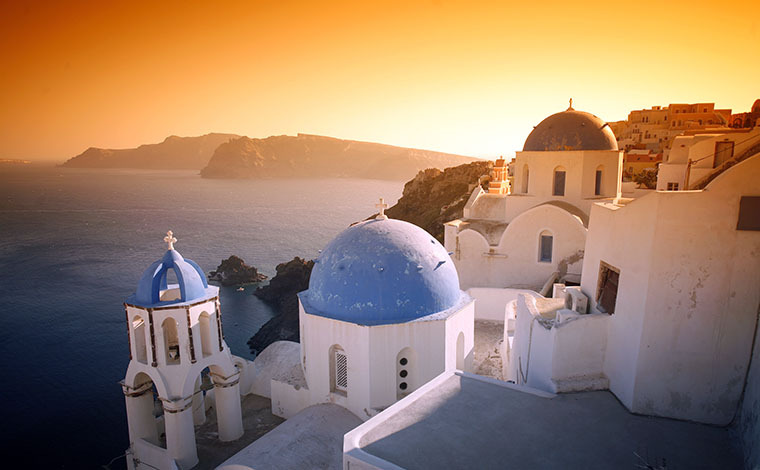 Oia is the most graphic village of the island with a fantastic view, narrow streets and marvelous mansions. 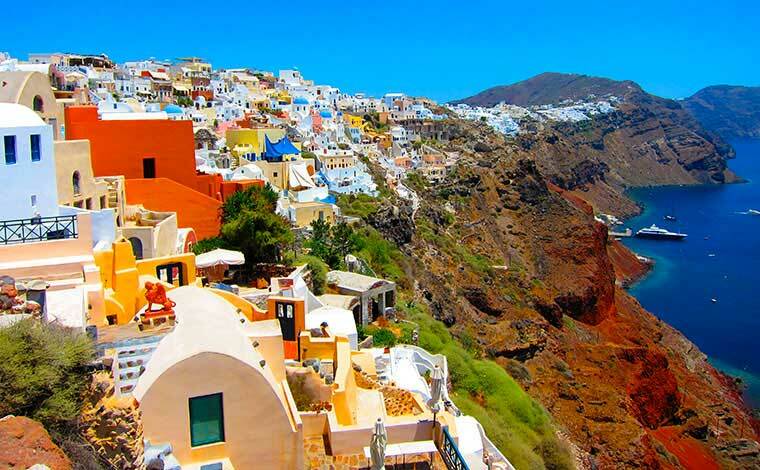 FIRA Free time to visit the capital, go for shopping or enjoy your drink with a bird s eye view over Caldera. 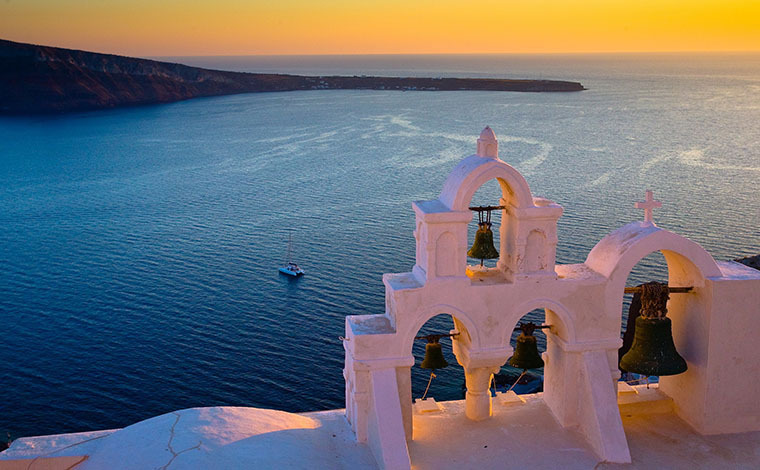 KAMARI, The most popular beach in Santorini which is know for its black sand and crystal clear water. 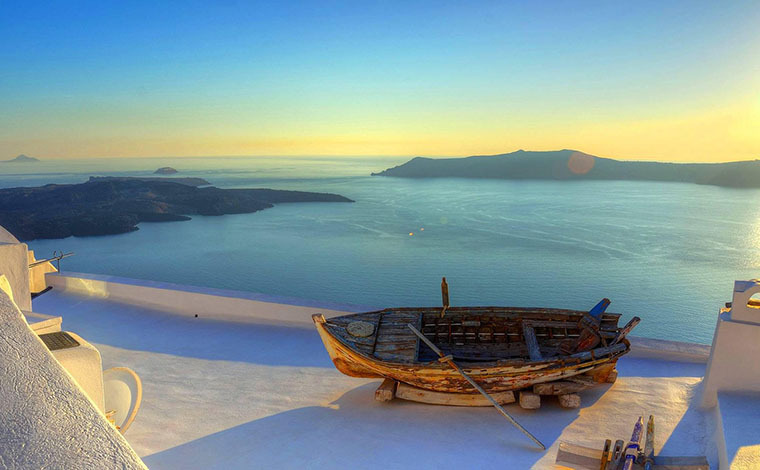 For your lunch will be a real pleasure to discover traditional taverns with Greek specialities such as "Fava" and fresh served with excellent local wine.